Today while creating the material of a lamp, ran into an issue. 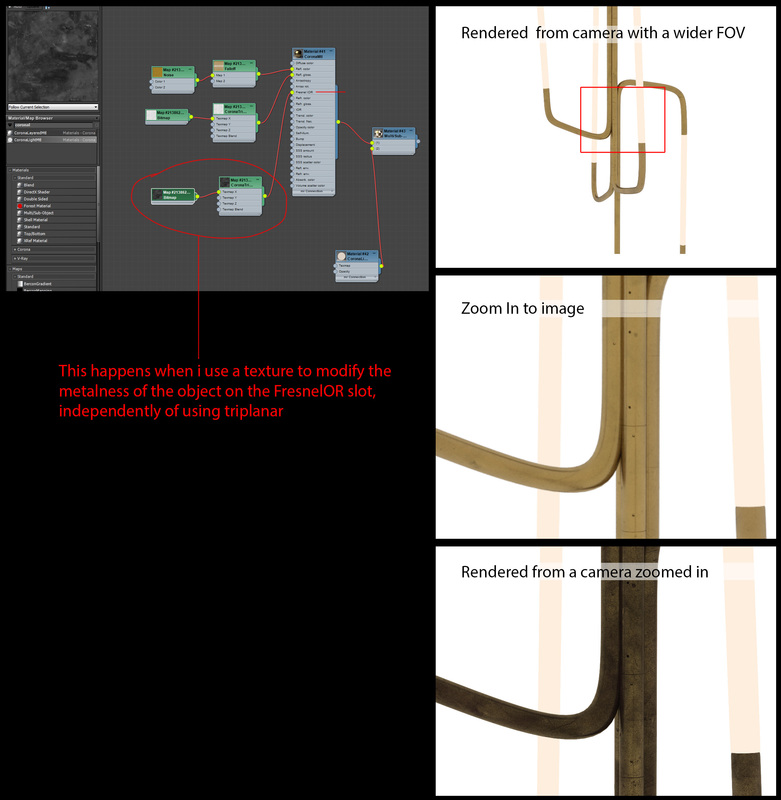 When i was trying to use a texture to modify the FresnelIOR (metalness), realized that depending on how far i was from the object my material was shaded very differently… which would be problematic for animation, or if you had different cameras closer or further from it, as one would need to adjust the material for each case. Below is an image explaining it better.